There is a twist in the title, of course, for today I wish to introduce you to etcher #ThomasAbielPrior. He lived from 1809 to 1886 which means he worked with and for many of Britain’s greatest artists. Always a talented artist himself, his love was for line etching. He tried mezzotint but was not happy with the results and so he returned to line etching. I have three etchings done by Thomas Prior in my collection. All three show a place just down the road from me. We will begin with #TheSuspensionBridgeatChelsea done in 1852. The bridge was initially named ‘ Victoria Bridge’ but although looking good the bridge was narrow and structurally questionable. So to avoid any ‘royal’ ties to a possible bridge collapse the name was changed. Initially, the bridge was a toll bridge but this proved to be unpopular with the public and was dropped. On the far bank, we see the Royal Military Hospital. I love the boats and barges on the river. A lovely place to come and relax, picnic, rest and take the air. If we sail down the Thames we will come across our next view. #TheTowerofLondon. Another very fine piece. It is no wonder that artists like JMW Turner and William Landseer liked to work with him. If one looks closely at the ships on the right side , one will see several steamers in the harbour. And if we sail even further, we will find ourselves passing our next vista. And we look over Greenwich towards the Thames to finish our tour. Popular with visitors ever since it was created, Greenwich Park overlooks London and we can see from this image the Royal Hospital. A third and final etching by Thomas Prior which once again confirms his amazing talent. And to finish, I would like to share with you an observation I have made. While looking at the image #WomanwithTambourine by #JMWTurner, I realised that the etching I have is not one people would regularly see. 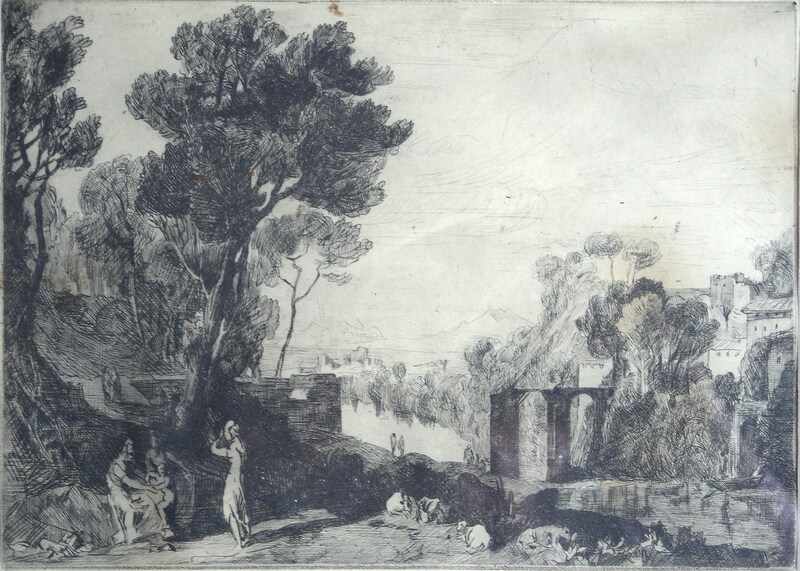 Most people will be familiar with the mezzotint image found in the Liber Studiorum but the line etching, I have, is not a copy of the Liber Studiorum image but is actually an etching of Turner’s original pen and wash drawing (held by the TateBritain). There were several alterations to Turner’s drawing when it was made into a mezzotint. The line engraving I have does not contain those alterations. Interesting considerations. 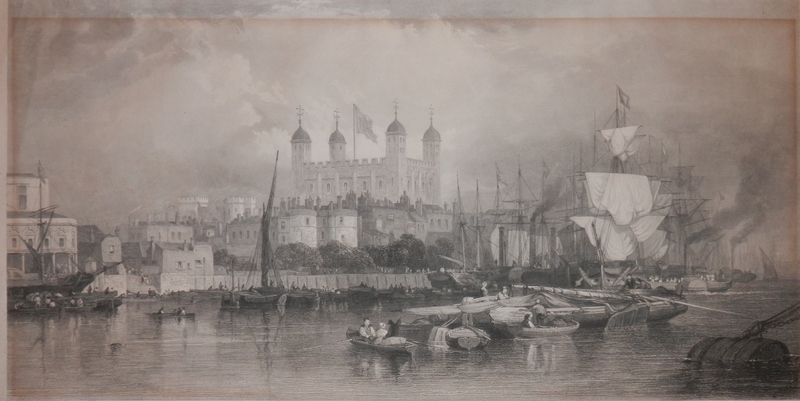 This entry was posted in Etching and tagged boats, gentlemen, hill, hospital, ladies, London, park, tambourine, Thames, Turner. Bookmark the permalink.